We are so thrilled with our new Wild Rice Blend with riceberries rice! Thank you to The Endless Meal for this beautiful Rice Pilaf recipe! This has become the most popular whole grain rice among the health-conscious in Thailand. It has a nutty flavor, aromatic scent and a chewy texture similar to that of brown rice. Riceberry rice is a cross pollination of Jao Hom Nin (the local non-glutinous purple rice which has high levels of antioxidants, minerals and vitamins) and Hom Mali Rice (also known as Thai Jasmine Rice). The deep purple color is typical of plants that yield high nutrition. Why is Riceberry Rice so Special? Our Wild Rice Blend is perfect for plant based side dishes like Wild Rice Pilaf. This stunning rice pilaf recipe checks all the boxes – flavor, color and texture! Switching up your regular minute rice to plant based protein of wild rice is a simple decision especially when this cooks up exactly the same way. No mysteries, no guessing games – 25 minutes to cook, 5 minutes standing and it’s time to get out the forks! Follow us on Facebook and Instagram for more healthy wild rice recipes. Tag us at #eatwildrice to have your awesome creations featured! It has a nutty flavor, aromatic scent and a chewy texture similar to that of brown rice. This recipe checks all the boxes - flavor, color and texture! Bring 2 ½ cups of water to a boil over high heat. Pour the rice into the pot, lower the heat to medium, and cover with a lid. Let the rice cook for 25 minutes then remove the pot from the heat. Let the rice sit with the lid on the pot for 5 more minutes. Add the remaining ingredients to the pot and stir. We are thrilled to have Trish from Rhubarbarians with us this week. Her wild rice salad is going to be a huge hit over the holidays and every other day! You can purchase Floating Leaf products here through their website!! This healthy, vegan salad is loaded with roasted root vegetables, a nutty wild rice blend, tart cranberries, and sweet pecans. Meanwhile, combine the Prairie Blend with the water and stock in a medium saucepan over high heat. Boil uncovered for 5 minutes. Reduce heat to medium, cover, and simmer for 20 minutes, or until blend is cooked to your liking. You may need to strain the excess water out. Fluff with a fork and let sit for 5 minutes. Protein rich lentils, roasted sweet potatoes and Brussels sprouts, festive cranberries, and toasted walnuts, all tied together with a sweet and savory miso tahini dressing. We’re delighted today to have Lauren from Flora and Vino join us with her perfect holiday recipe. I’m getting pretty excited about Christmas, guys. I love the anticipation leading up to holidays almost as much (or more??) as the holiday itself. Kind of like this big macro bowl that I dreamed up around Thanksgiving. While most tables are centered around meatier mains during the holiday season, I’m over here dying to show you how darn festive plants can be. Here’s how I mix all of my favorites to create a yummy plant-based bowl that’s packed with protein, seasonal veggies, and holiday garnishes. I’m calling it a Holiday Macro Bowl with Miso Tahini Gravy and I think you’re going to love it. Why don’t people generally serve holiday food bowl-style? Because I’ll be honest, most of my meals turn into “bowled” feasts even if I didn’t intend them too, all of the segregated veggies breaking out of their boundaries and becoming a hot colorful mess.This Holiday Macro Bowl with Miso Tahini Gravy is going to break those barriers from the beginning. All you need is an empty bowl, 30 minutes, and the childlike glee to start a new tradition. The beauty of this bowl is that it’s totally adaptable. Feel free to customize it to make your own variations with your favorite grains, roasted veggies, and toppings. You can also use this recipe as a template for all of your holiday sides and leftovers– simply bowl them on a bed of grains with a splash of miso tahini gravy and scallions it might just taste better than the original did. I used Floating Leaf Fine Foods’ Sprouted Crimson Lentils Wild Rice & Quinoa as the hearty nutritious base to this bowl. This gorgeous rice blend is a unique mix and brown rice, sprouted lentils, sorghum, wild rice, and quinoa. I love this fusion because it’s great source of protein and fiber as well as vitamins and minerals. Try cooking it in vegetable broth for even more flavor! This Holiday Macro Bowl with Miso Tahini “Gravy” isn’t just for the holidays! It’s perfect for your basic meal prep or weeknight dinner, and leftovers are great for an elevated work lunch. Or, dress it up pretty for the holidays as part of your holiday spread. If you do prepare the bowls in advance, store all of the ingredients separately and assemble just before serving to keep your bowls fresh. If you want more power-packed macro bowl combinations, check out my Easy Mexican Macro Bowl, Garden Tempeh Macro Bowls with Creamy Hemp Heart Ranch, and Green Macro Bowl with Turmeric Tahini. To see more of Lauren’s healthy recipes, visit her Instagram and Facebook pages..
Preheat oven to 400 degrees F and line a baking sheets with parchment paper. On the first baking sheet, lay out the cubed sweet potatoes and Brussels sprouts. Spray/drizzle with a bit of avocado oil (or omit if oil free) and sprinkle with Himalayan sea salt. Bake for 20-25 minutes, until the sweet potatoes are tender and brussels sprouts are well browned. Remove from the oven and set aside. While the veggies are roasting, prepare your Sprouted Crimson Lentils, Wild Rice, & Quinoa in vegetable broth according to package instructions. Set aside until ready for use. Toast the walnuts on the stove top over low heat for ~10 minutes or bake at 350 F for 8-10 minutes. Prepare the Miso Tahini Dressing by adding tahini, miso paste, lemon juice, filtered water, and optional maple syrup to a high speed blender and pulsing until smooth and creamy. Add more water for a thinner consistency and more tahini for a thicker consistency. Store in the refrigerator until ready to use. 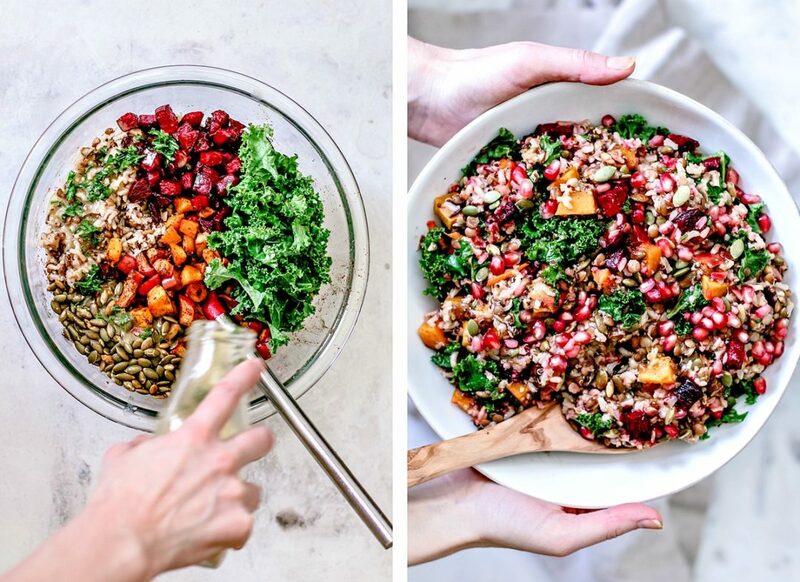 To assemble to bowls, add a heaping cup of sprouted lentils, wild rice, & quinoa to a bowl and top with roasted sweet potato, Brussels sprouts, lentils, toasted walnuts, and cranberry sauce/cranberries. Serve drizzle with Miso Tahini Dressing and garnish with green onion. Store leftovers separately in the fridge separately for 3-5 days and reassemble before serving. This Fall Harvest Wild Rice Medley is packed with warming sweet and savory flavors that pair perfectly with anything you might be planning to put on your table this holiday season. 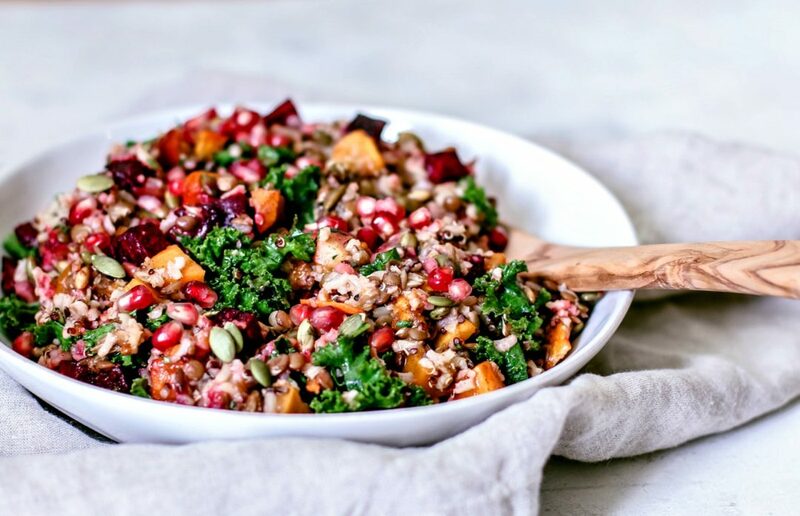 Imagine roasted beets, apples, squash, crunchy pepitas, kale, juicy pomegranate arils, and nutty wild rice tossed in a tangy maple and apple cider vinaigrette. We are so happy to partner with Dana from Killing_Thyme to bring you this beautiful recipe filled with healthy goodness! I think the best part about whipping up seasonal recipes is the thirst we have for doing so as a new season approaches. When the smell of summer starts to fill the air, we crave cool cucumbers, crisp string beans, and grilled everything; when the cooler weather starts to creep in, our hunger for squash, apples, and cauliflower is real. In winter? Give us all of the citrus, soups, and stews please! And well, unfortunately Spring doesn’t seem to exist anymore—global warming ate that one up. When it came to planning for seasonal content here at Killing Thyme, I wanted to do a better job at bringing side dishes to the proverbial table. I tend to stray toward mains, and with the holidays coming up, having a solid selection of sides is critical. Sprouted Crimson Lentils, Wild Rice, and Quinoa. To make this recipe as nutritious as it is delicious, I opted for Floating Leaf Fine Foods‘ Sprouted Crimson Lentils, Wild Rice, and Quinoa blend. In this particular blend, you’ll find lentils, wild rice, brown rice, quinoa, and white sorghum. Simmered in vegetable broth, this blend fluffs up with so much flavor, which just adds to the blends natural nuttiness. To see more of Dana’s heart healthy recipes, visit her Instagram or Facebook feeds. To share your rice recipes with us, tag us on Instagram with #floatingleaffoods and @floatingleaffoods! We love to see your creations and share with our readers! Pre-heat the oven to 420°F. Transfer the squash, apples, and beets to a large bowl. Drizzle with 1 tsp of olive oil and add all of the spices listed from the salt through to the nutmeg. Stir until everything is evenly coated. Then, spread the squash, apples, and beets out onto a baking sheet and bake in the oven for about 20 minutes, o until the squash and beets are tender. While the veggies roast, combine 1 cup of the wild rice blend with 3 1/4 cups of vegetable broth in a large pot. Bring it to a boil and let it boil, uncovered, for 5 minutes. Once 5 minutes has passed, reduce the heat to medium-low, cover, and cook for about 20 minutes. When done, remove the pot from the heat and let the rice stand for 5 minutes; then fluff with a fork. Maple and Apple Cider Vinaigrette. Add all of the ingredients to a small jar or bowl and shake/whisk the mixture until it's well-blended; set aside. To toast the pepitas, place them in a dry sauce pan and heat them slowly over low heat with a lid partially covering the pan. Toss and stir the pepitas every 30-ish seconds to prevent them from burning. Once they start to brown and give off a toasty aroma, remove them from the heat. Thank you to Marcie from Flavor the Moments for providing this especially easy recipe of goodness and flavor! 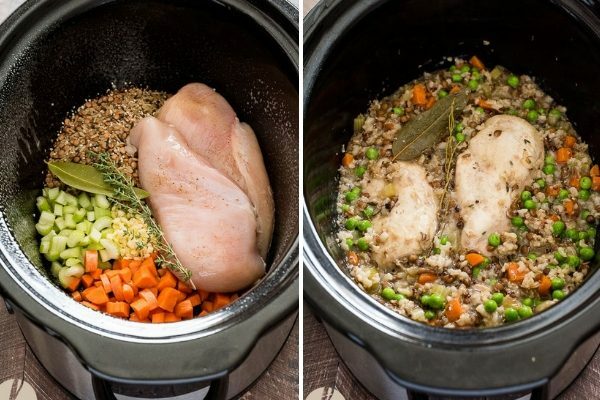 I've used low sodium chicken stock, vegetable stock and water in this recipe and every single one resulted in a delicious dish -- the vegetables and herbs add all the flavor you need! 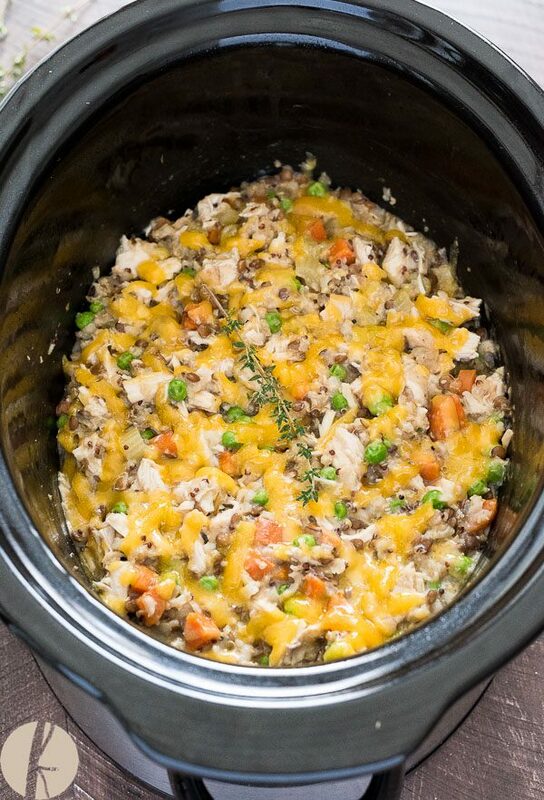 A wild rice stuffing, perfect for chickens or for your holiday turkey. 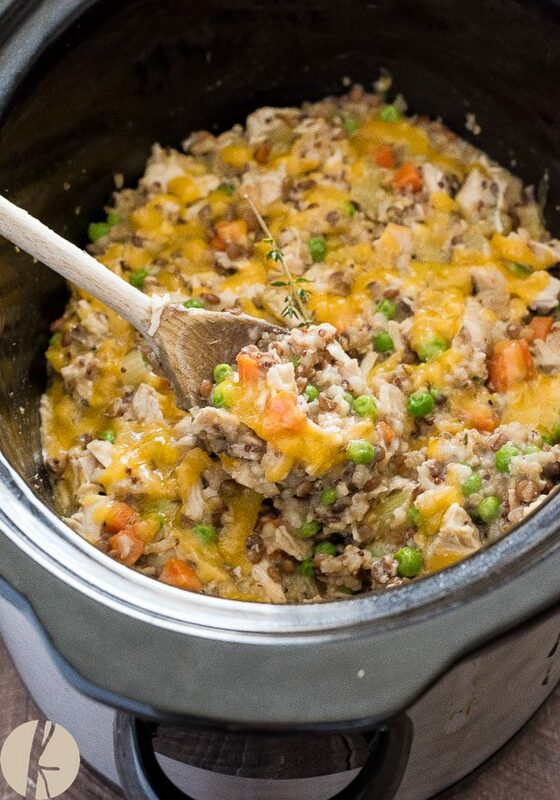 Packed with all the same flavors, this is a gluten free stuffing you won’t want to miss! Thanks to our friend Teri over at nocrumbsleft for an amazing recipe — the perfect inspiration to planning a healthy, gluten free Thanksgiving! I love Floating Leaf Rice Blends and Prairie Blends. They are so full of protein and they keep you full and satisfied. The combination of sprouted lentils, wild rice and quinoa with mushrooms, onions and pepper all simmered in chicken stock is magnificent. You can take it up a notch with Shiitake mushrooms too. I think its fun to do two batches at the same time so that you have a perfect lunch to go the next day! 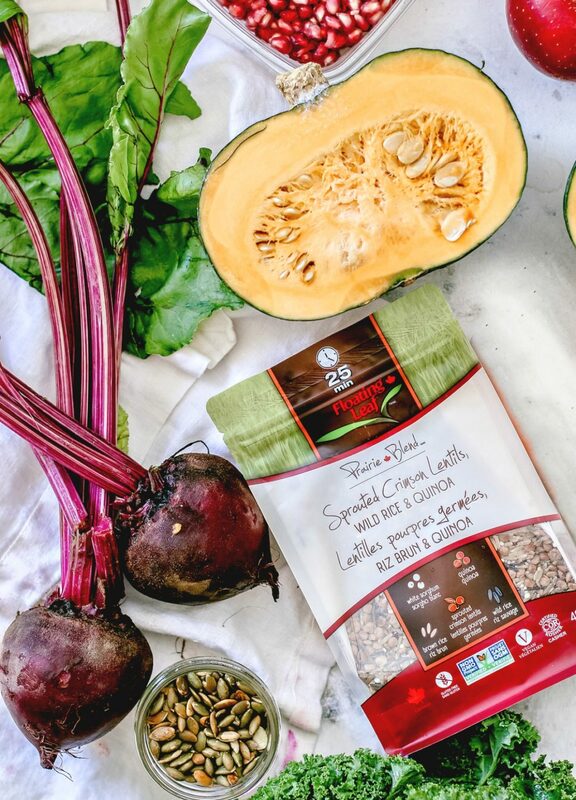 What’s fabulous about Floating Leaf Rice Blends and Prairie Blends are certified gluten free and their range of grains and legume blends are a great alternative for vegetable forward thinkers. There are several to choose from: Sprouted Brown Rice, Split Pea and Quinoa, Sprouted Black Bean and Organic Brown Rice are delicious but my favorite is Sprouted Crimson Lentils, Wild Rice and Quinoa. And our missions are aligned in the fair treatment of farmers and harvesters and sustaining the environment. For me, these blends are perfect for family cooking. I have a family member who is plant based and one who is gluten free and who doesn’t enjoy a lot of protein – so this is a home run for the whole group! It’s a wonderful jumping off point for anything from soup made with homemade chicken broth, a rice bowl, or for the bed of a stir fry. Here are some tips for a successful Thanksgiving. This menu will allow you to handle all of the main dishes. You want to enjoy the holiday and that means spreading the love around so that everyone is part of pulling the party together. Appetizer – Assign to a friend. Rolls – Assign to a friend. Wine and non-alcoholic beverages – Assign to a friend. Desserts – Assign to a friend. And, Don’t forget to add a can of cranberries to your spread for a bit of old school family flavor. A healthy, gluten free stuffing, packed with traditional holiday flavors. Great for a holiday turkey companion, but also great as a side dish for any meal! Rinse the Floating Leaf Sprouted Crimson Lentils, Wild Rice and Quinoa under cold water. In a medium sauce pan over high heat, combine the chicken stock, rice and 1 bay leaf, stirring occasionally. Once boiling, continue to cook for 5 minutes. Then reduce the heat to medium low, cover and cook for 20 more minutes, or until done. Set aside. In a medium sauté pan, over medium high heat, combine 1 tablespoon butter and 1 tablespoon olive oil, stirring to combine. Add the mushrooms, 1/4 teaspoon salt and 1/4 teaspoon pepper, stirring occasionally and until brown, about 5-7 minutes. When done, transfer to a bowl and set aside. Return the pan to the stove, over medium heat and add 1 tablespoon of butter and 1 tablespoon of olive oil, stirring until combined and melted. Add the onions and Serrano pepper and cook until caramelized, about 7 minutes. Turn off the heat. Then add the mushrooms to the sauté pan and the cooked rice, stirring to combine. Top with chopped parsley. Use to stuff a turkey or chicken, or serve as a dish dish. This recipe uses Floating Leaf’s Prairie Blends. We recommend using either the Sprouted Brown Rice, Split Pea and Quinoa, or the Sprouted Crimson Lentils, Wild Rice and Quinoa in this dish. Our products are available online, and also at the following grocers. Be sure to check out our wild rice, our grain and legume blends, and our gluten free rice pasta and pancake mixes! Get FREE shipping when ordering more than CAD $35 on the Floating Leaf website to either the United States or Canada. We’d love to connect with you! Be sure you’re following Floating Leaf Fine Foods on Facebook and Instagram. A thank you to Erin from The Almond Eater for creating and sharing this delicious plant-based recipe with us! Easy Enchiladas for Meatless Mondays! But these wild rice enchiladas are extra special because they’re made with a new-to-me brand of rice called Floating Leaf. Floating Leaf’s Prairie Blends are a mix of rice, quinoa and/or legumes and are a nutritious way to add whole grains into a meal. 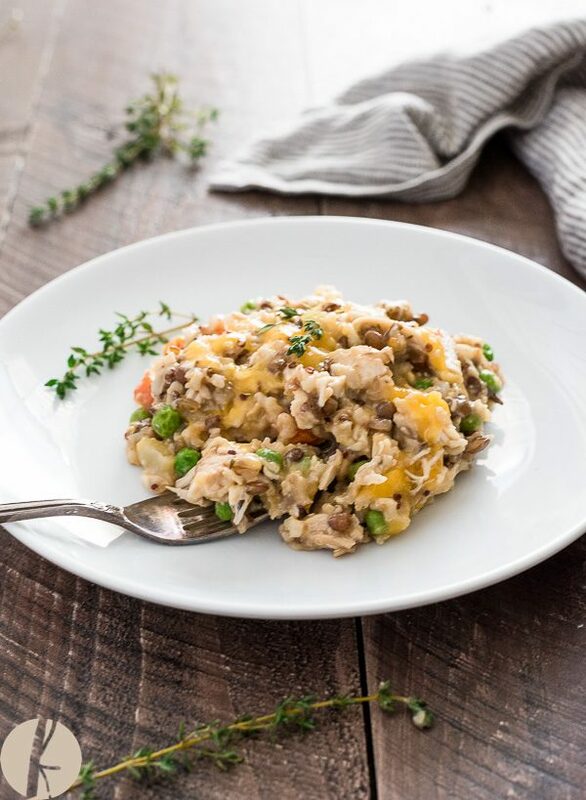 For this recipe, I opted to use one of their Prairie Blends—the split pea and quinoa sprouted brown rice—which is a mixture of brown rice, wild rice, split peas, quinoa, and millet. So basically, all the goods! The Prairie Blends are gluten free and an awesome way to add more protein to your diet. 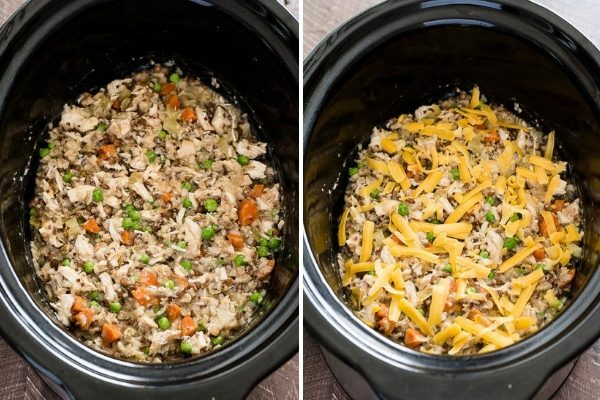 For this recipe, I opted to use the Sprouted Brown Rice, Split Pea, and Quinoa Prairie Blend, which is a mixture of brown rice, wild rice, split peas, quinoa, and millet. So basically, all the goods! The Prairie Blends are gluten free and an awesome way to add more protein to your diet. These wild rice enchiladas are not only filled with rice, but also with butternut squash, black beans, tomatoes, onion, and cheese of course. You’ll cook the rice and butternut squash–the rice in a saucepan and the squash in a skillet–then add them to your taco shells. While those are cooking, you’ll chop up the onion and tomatoes (or, feel free to use canned tomatoes! ), and combine the onion, tomatoes and black beans into a bowl. Then, you bake the enchiladas for 15 minutes or so or until the sauce is bubbly and the cheese has melted. Don’t forget the avocado! You gotta add the avocado on top for healthy fats and extra flavor. If you make this recipe, be sure to share it with us by tagging @FloatingLeafFoods and @TheAlmondEater on IG! These festive fall inspired enchiladas make for an awesome meatless meal and are filled with veggies, rice and plenty of cheese! While the squash is cooking, combine beans, tomatoes, onion, and rice in a bowl and set aside. Add cooked butternut squash to the bowl as well; stir to combine. Make the sauce by whisking all 3 ingredients together. Pour half of the sauce into the two baking dishes. Next, assemble the enchiladas: fill a tortilla with the butternut squash mixture, then sprinkle some cheese inside. Roll tortilla up and place it into the baking dish. Repeat this process for all of the tortillas, then pour the rest of the sauce over the enchiladas. Sprinkle remaining cheese over top, then bake enchiladas for 15 minutes, or until cheese is bubbling. Top with cilantro and avocado and enjoy! Mediterranean Tomatoes Stuffed with Rice are my favorite hearty side dish recipe or healthy vegetarian main. They can be made either vegan or vegetarian and are absolutely bursting with flavor. Don’t be intimidated by the long list of ingredients, these stuffed tomatoes come together very easily! 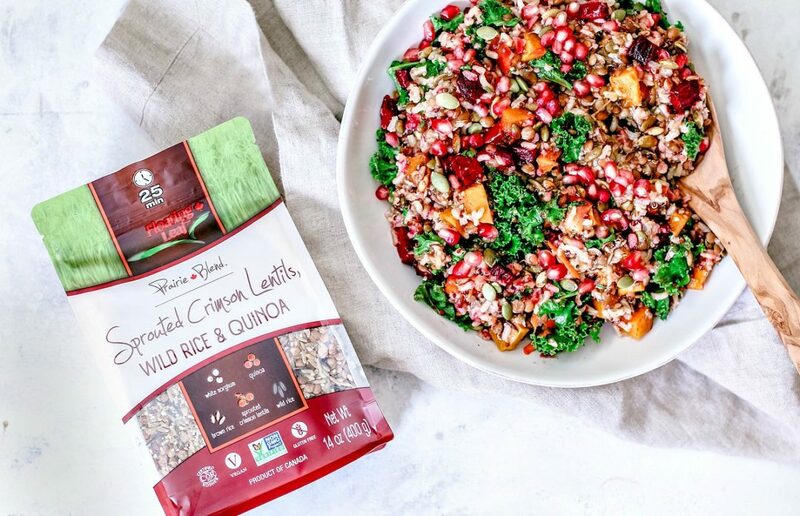 A thank you to Kristen from The Endless Meal for this delicious and healthy recipe using Floating Leaf’s Crimson Red Lentil, Wild Rice and Quinoa blend. I’ve made us tomatoes stuffed with rice! But not just rice, cause that wouldn’t be worth all the exclamation marks I’m about to use. This is a stuffed tomato recipe that is easy to make, delicious, and healthy. All our favorite things! Creamy toasted pine nuts. Or cashews. Or crunchy almonds. You do what you have in your pantry. Chopped dates for a tiny bit of sweetness. Feta cheese or nutritional yeast – depending on your mood or what you love to eat. I’ve opted for both more than once. Sauteed onions and garlic. Because hello, life. All these delicious flavors nestled inside roasted stuffed tomatoes. Call them Mediterranean Stuffed Tomatoes or Greek Stuffed Tomatoes, or Italian Stuffed Tomatoes with Rice or simply The Best Dang Stuffed Tomato Recipe Ever. So guys, this rice. As you might have noticed, there is a serious lack of rice recipes on the blog. Now that I’ve found a rice blend that I totally LOVE, expect to see a whole lot of rice popping up around here. I normally don’t eat a lot of rice, so when I do, it means it must be really special. #truth Floating Leaf makes three rice blends they call Prairie Blends. The one I’ve used to make these stuffed tomatoes is their Sprouted Crimson Lentils, Wild Rice, and Quinoa Blend. The healthy, whole grains make a delicious plant-based side dish all on their own. Mix the Prairie Blend with Mediterranean flavors, stuff it inside juicy tomatoes, then roast them in the oven and magic happens. Floating Leaf’s Prairie Blends are a great way to add plant-based protein to your meal. They’re gluten-free so perfect if you’re celiac or sensitive to gluten. They make creating healthy, flexitarian meals super simple! I love meals (like these stuffed tomatoes!) that give me a break between the hands on cooking time and the time we sit down to eat. It’s the perfect opportunity to pour a glass of wine/clean up the kitchen/relax with my family before dinner. Mediterranean Tomatoes Stuffed with Rice are my favorite hearty side dish recipe or healthy vegetarian main. They can be made either vegan or vegetarian and are absolutely bursting with flavor. Don't be intimidated by the long list of ingredients, these stuffed tomatoes come together very easily! Cut the tops off the tomatoes, use a small spoon to scoop out the centers, then place them in a baking dish. Reserve the tops and insides of the tomatoes. Heat the olive oil in a large skillet over medium-high heat. Add the onion and cook until it turns translucent, about 3 minutes. Add the garlic and cook for 1 minute more. Add the chopped tomato pulp, the Floating Leaf rice blend, and the vegetable broth and bring it to a boil. Boil for 5 minutes then reduce the heat to low, cover the skillet, and cook for 20 minutes. While the rice cooks, toast the pine nuts in 1 teaspoon of oil over medium heat for 3-4 minutes, until they are golden and fragrant. Chop the olives, parsley, and dates. When the rice is soft, add the pine nuts, olives, parsley, feta cheese or nutritional yeast, oregano, and dates and mix well. Season with salt and pepper, to taste. Stuff the rice into the tomatoes and place the tops on the tomatoes. Roast for 30 minutes, or until the tomatoes are soft and starting to brown on top. This recipe uses Floating Leaf’s Prairie Blends. We recommend using either the Sprouted Brown Rice, Split Pea and Quinoa, or the Sprouted Crimson Lentils, Wild Rice and Quinoa in this dish. Our products are available online, and also at the following grocers. Be sure to check out our wild rice, our grain and legume blends, and our gluten free rice pasta and pancake mixes! This One Pan Mexican Quinoa and Rice will become a new staple in your household! The base recipe requires only a handful of ingredients, and simmers in 1 pot. Top with veggies, avocado, or herbs, based on what you have on hand. A great vegetarian quinoa recipe for busy nights! Thank you to our partner, Michelle at Sunkissed Kitchen, for sharing this delicious gluten free and vegetarian meal with us! We love healthy meals that also cut down on time in the kitchen. This easy meal is one that once you try it, it will become a part of your normal dinner rotation. Perfect for meatless Mondays, but I certainly don’t need a Monday to create a grain and legume masterpiece for dinner. Top it with cheese, and your whole family will be asking for this meal again and again! The particular magic of this dish is a new rice and quinoa blend that I found. 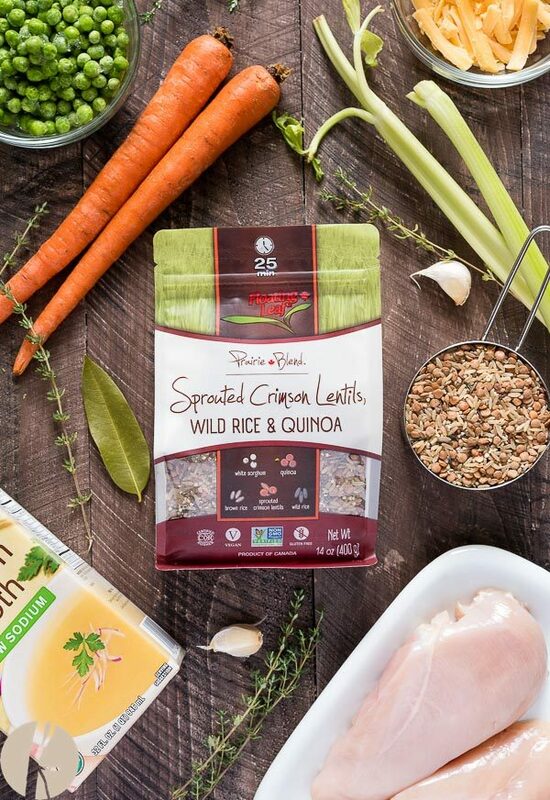 Floating Leaf’s Prairie Blends are wholesome mixes of wild rice, brown rice, quinoa, millet and legumes – either lentils, split peas, or sprouted beans. 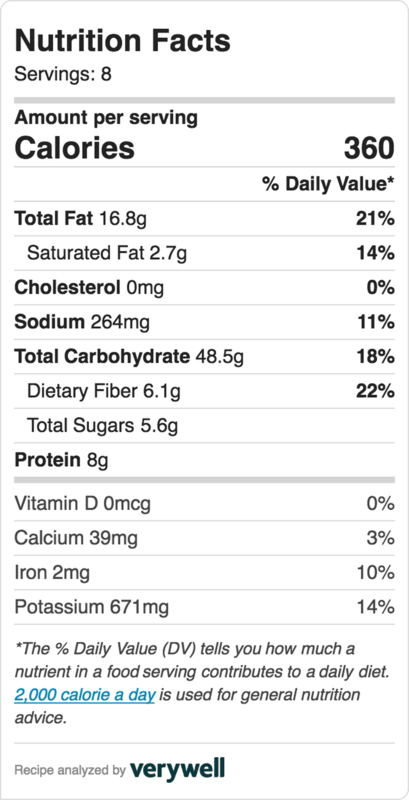 I love that they’ve taken grains already high in protein, and bolstered them with additional plant power. The one I chose for this dish is the Sprouted Brown Rice, Split Pea & Quinoa, which is a mix of sprouted rice, quinoa, millet, split peas, and wild rice. Such a gorgeous celebration of vegetarian power foods! Floating Leaf produces a wide range of whole grain and legume products, all designed to make it a little bit easier to bring delicious, nutritious, quality food to your table. They are perfect for anyone on a gluten free diet (most products are certified gluten free), but also for anyone looking to improve their overall health through a healthy diet with lots of plant proteins. Save Time in the Kitchen – Fewer Dishes! I’ve elevated a typical Mexican Quinoa dish by loading it up with plenty of veggie toppings. I love sautéed peppers and onions, so those were a must for me. To make this dinner all in 1 pan, I quickly sautéed the onions and peppers while preparing the other ingredients. Once the peppers and onions were browned, I removed them from the pan, and added the quinoa and rice blend, vegetable broth, crushed tomatoes, kidney beans (you can also use black beans or pinto beans! ), and corn cut from the cob. Stir in some sea salt and spices, and then add a lid and let the pot simmer. Once the rice had absorbed all the liquid, I gave it a quick stir, and then added a layer of cheddar. Nothing brings the family to the table like a thick layer of melty cheese! A healthy vegetarian dinner that's made in 1 pan! This dish layers healthy whole grains and legumes, simmered in a spicy tomato sauce, with cheese, and lots of veggies! I add sauteed peppers and onions on top, but save time by skipping those and just adding lots of avocado, tomatoes and chopped cilantro. Customize the toppings and make this your own! 1 tablespoon chili powder *less if yours is very spicy! In a large sauté pan with a lid, or a dutch oven, add a tablespoon of olive oil, and heat over medium high heat. Add sliced onions and peppers and sauté for 5-7 minutes, until tender and beginning to brown. Remove from pan and set aside. To the same pan, add the rice and quinoa blend, crushed tomatoes, vegetable broth, salt, spices, kidney beans, and corn. Stir to combine, and then allow to come to a boil over medium high heat. Once the pot is boiling, reduce heat to low, and cover. Simmer for another 12-15 minutes, until most of the liquid is absorbed. Be sure to check, because the tomato sauce will rise to the top and the rice will be cooked below. Once your rice is cooked, stir the tomato sauce back into the rice, and top with shredded cheese. Place the lid back on top and let it sit for a couple of minutes until the cheese is melted. Top the dish with sautéed peppers and onions, avocado, tomatoes, cilantro and green onion, or any other toppings you desire! The rice will continue to absorb the moisture in the pan, so the leftovers the next day might seem dry. Mix in a little salsa or vegetable broth, and heat, and it's as delicious as it was on the first day!